The Creative Learning department at the Waterside aims to enhance the theatre experience through fun and engaging Creative Learning activities and events. We work with young people, adults, community groups, schools, actors, directors and many more to facilitate a full programme of arts events throughout the year. There are many ways to get involved or work in partnership so please get in touch. Sessions return Saturday 27 April! Join us, every Saturday from 27 April – 20 July for our fun and free Open House Family Theatre Club. Run by professional practitioner Zoë Mace and the Aylesbury Waterside Theatre, sessions will include storytelling and a chance to discover the world of Theatre for the whole family. We’ll show you everything that goes in to making a theatre production from costume design and prop making through to drama and storytelling. The Open House programme encourages learning in an interactive and friendly environment. Join us and be part of our club. As Open House club members, you and your family will also be entitled to some exclusive opportunities in the Theatre. Watch this space for more news! 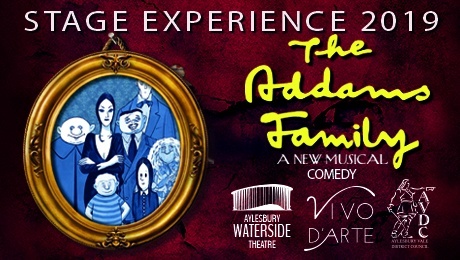 With something for everyone, come along and experience the magic of theatre as a family. Create your own story with your family through the use of drama, dance, puppetry, prop making and sharing skills. With a different story to tell every week, unleash your own family’s creativity. Discover the world of theatre and production. From costume to props, singing and dancing, storytelling and performance, join in with your family and uncover new techniques and skills that will allow you to craft your own piece of theatre together.